all the valuable studio time to the intense recording schedule. The first session of this productive day began at 10.00am and after three hours they had two songs ready for overdubbing in the afternoon. 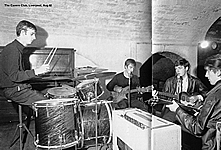 Three more songs were recorded between 2.30 and 6.00pm and two of them were also given overdubs. 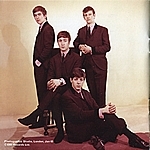 The second to be worked ori was 'A Taste Of Honey', which features the 'trick duet' mentioned in the album's original cover notes. Ori that song, the recording made earlier was played back to Paul in the studio and simultaneously copied to another twin-track machine while he sang along with his original lead vocal. 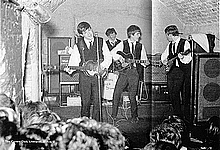 Double-tracking, as this was known, became a frequently used technique but for this album it was limited to this song. The afternoon's other overdubs included harmony vocals, harmonica, percussion and handclaps. 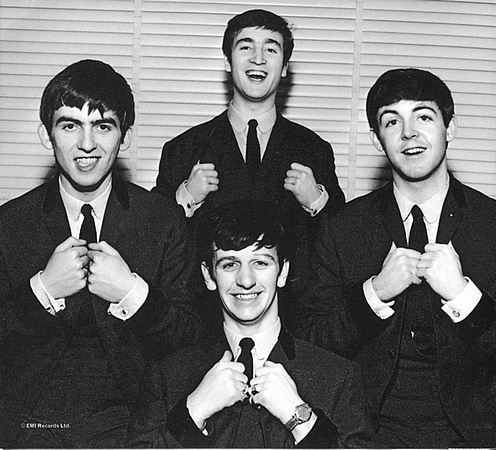 Tight', The Beatles stormed through five cover versions - ending the day with two performances of 'Twist And Shout'. It was their first take that was chosen to ciose the album. 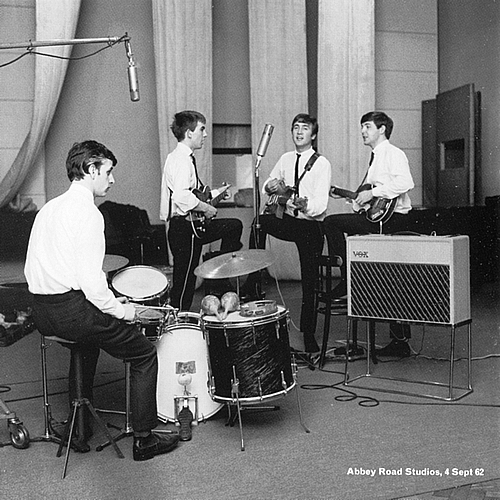 Two weeks later, the ten selected songs were mixed into mono and stereo during a three hour session and, when added to the four from 1962, the album was now complete. 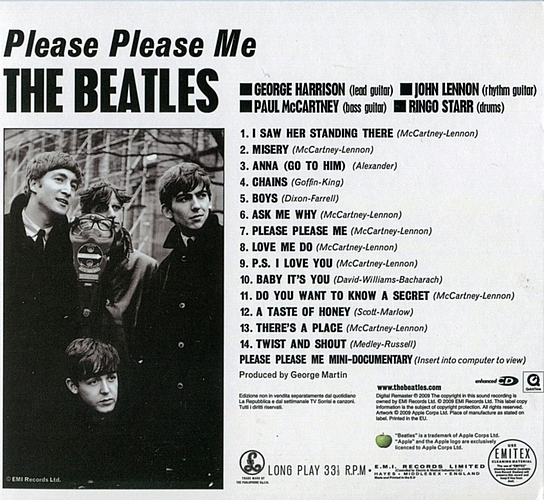 Please Please Me had taken a littie over 25 hours to record, edit and mix - a few albums later, as Beatles recordings became more adventurous, that would be hardly enough time to complete one song. 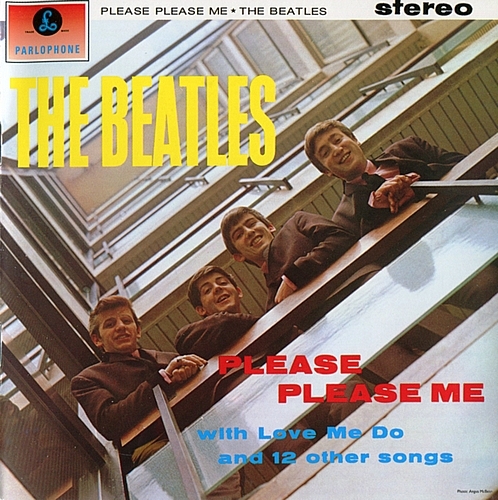 Please Please Me was released at a time when mono was the preferred format and stereo records sold to a small number of hi-fi enthusiasts. The twin-track recordings formed the basis of this stereo album but their original purpose was to achieve a good balance between the instruments and the vocals when creating the masters. Inevitably, the stereo mix provides an unusual experience of hearing ali the voices on the right side with all the instruments coming from the left. 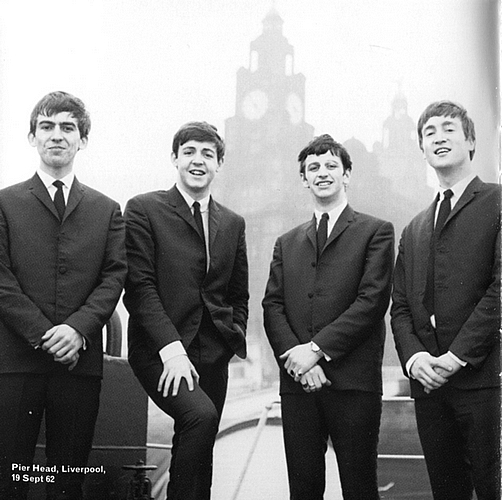 However, because the 1962 twin-track tapes of 'Love Me Do' and 'P.S. I Love You' had been discarded, the original stereo vinyl LP presented them in fake stereo. Although this was common practice at the time, it subsequently fell out of favour and so these scngs are presented on this CD in mono.